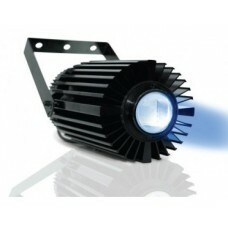 The New State of the Art Professional Lighting System is here with RGBW adjustments. 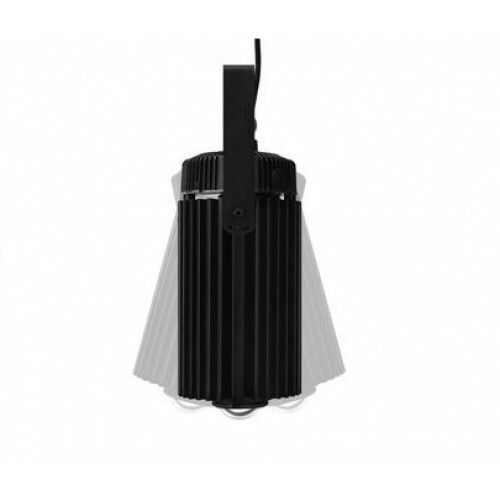 The new Cannon PRO 120 LED RGBW pendants combine all the benefits of LED-based lighting and control in a single, beautiful, compact light fixture. 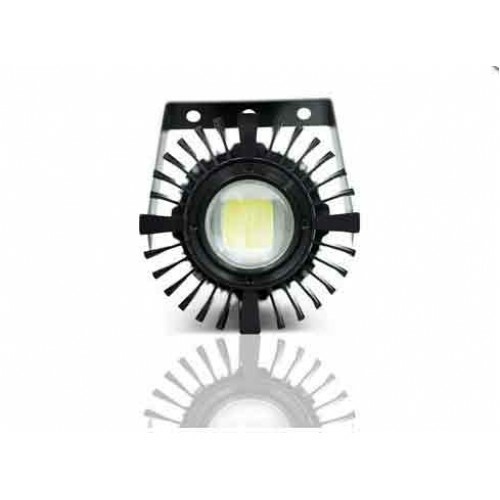 Now delivering over 20% more light output than its predecessor, a new high density multi-chip emitter coupled with a glass optical lens that produces an intense, sharp beam of light - penetrating water more effectively than metal halides. You control the intensity and color variations with an emphasis on the blue spectrum for optimal coral growth. At Aquatic Warehouse, we have 18 of the Cannon Pro 120’s predecessors (Cannon Pro 100) that have been running flawlessly over our large reef tanks for 4 years with spectacular growth and water shimmer. Completely water-resistant and IP65 rated, the Cannon PRO is designed for the harsh conditions found in aquatic environments. 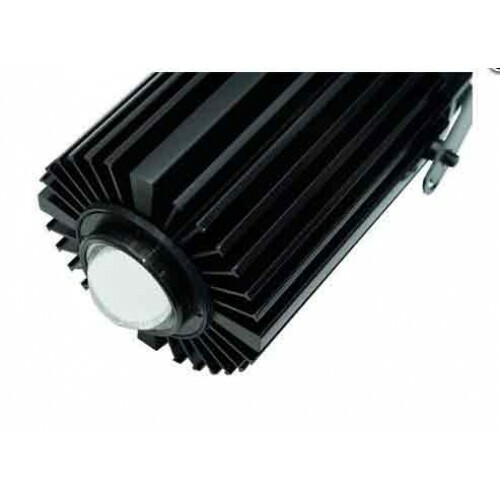 The integrated Meanwell HBG LED driver is off-set from the solid aluminum heat sink for more efficient heat dissipation. Three interchangeable glass optical lenses (included) allow you to focus or spread light as needed and the included light snoot ensures your guests won’t be blinded by lens glare. 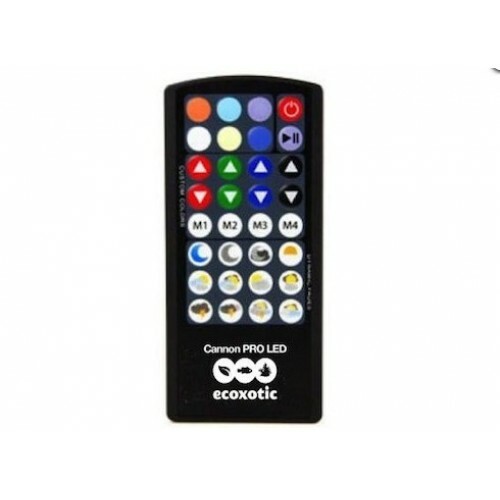 An integrated LED color spectrum controller with wireless IR remote allows you to control 4 channels of light spectrum independently, providing complete color spectrum and intensity control. The wireless IR remote works on multiple Cannons and also features on-demand weather effects. 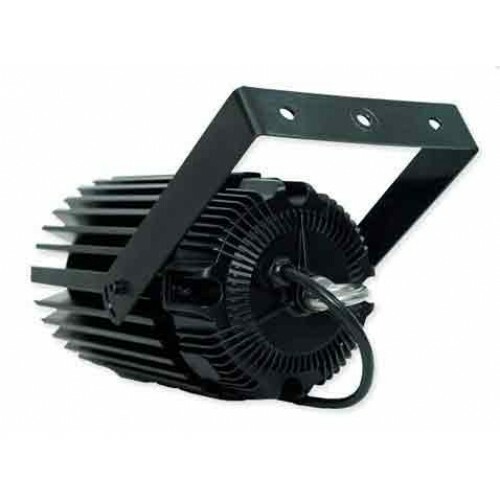 Each 120 watt Cannon PRO pendant features a powerful 120 watt multi-chip LED emitter powered, integrated LED color controller and includes a controllable Meanwell HBG driver, 3 glass optical lenses (60,90 and 120 degrees), swivel mounting bracket, wireless IR remote, safety harness, and light snoot. The Marine Actinic model features 460nm Royal Blue, 405nm Ultraviolet, 10,000K white, 630nm red, green and is designed for live coral exhibits.